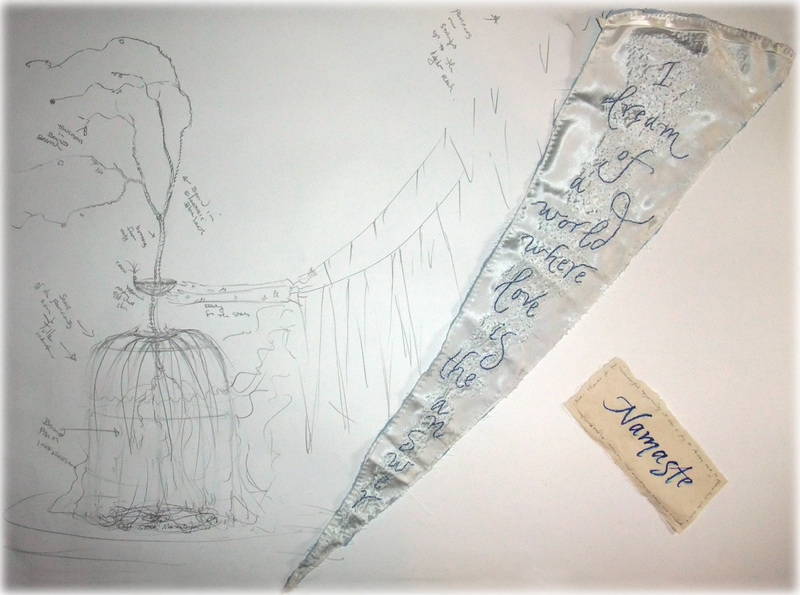 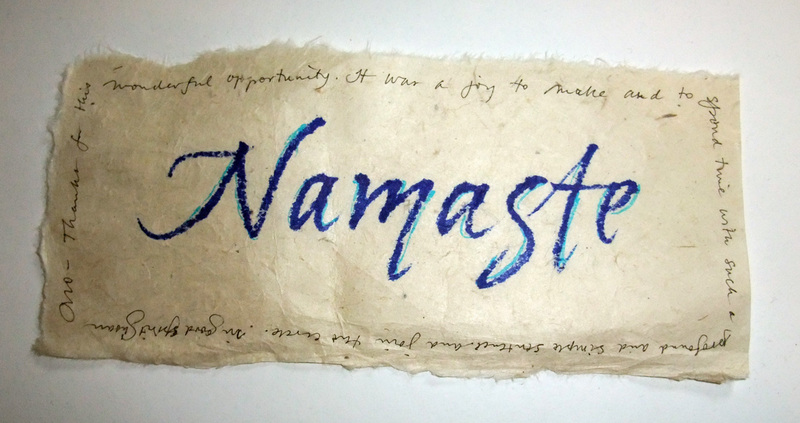 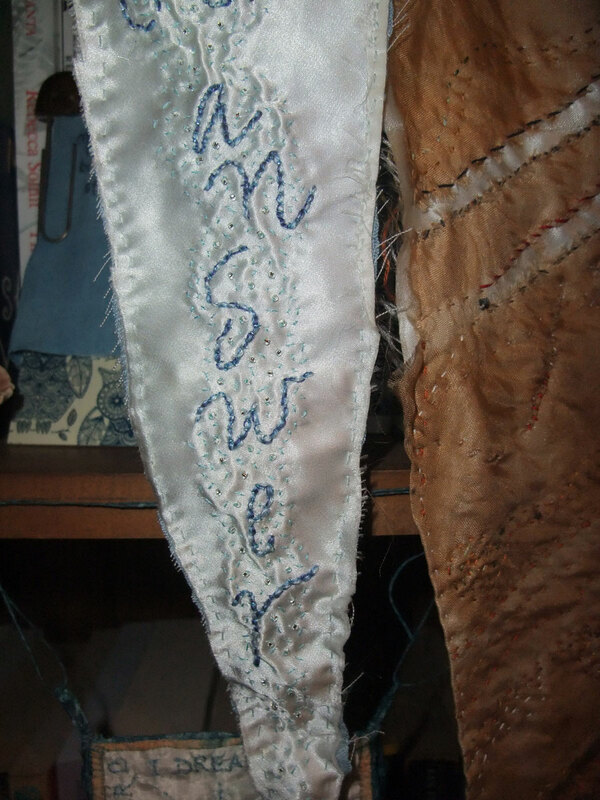 Susan Kapuscinski Gaylord’s dream pennant is on its way! 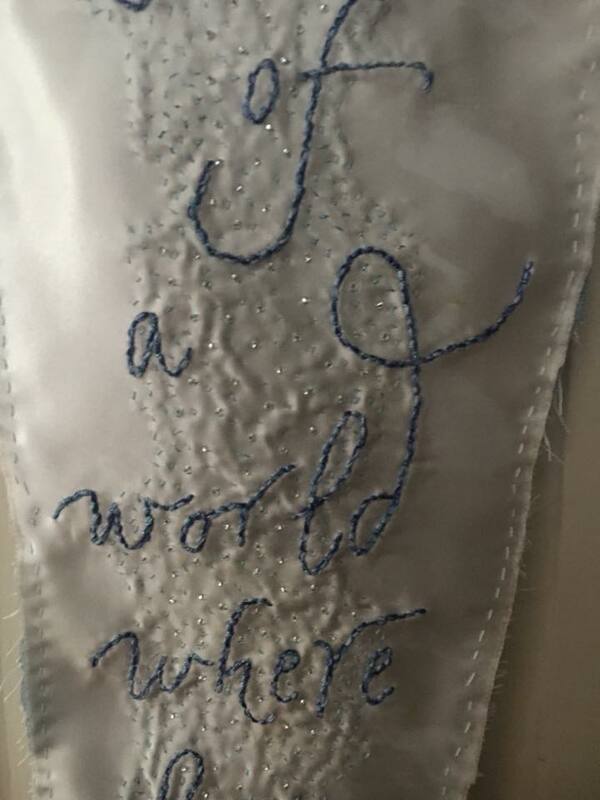 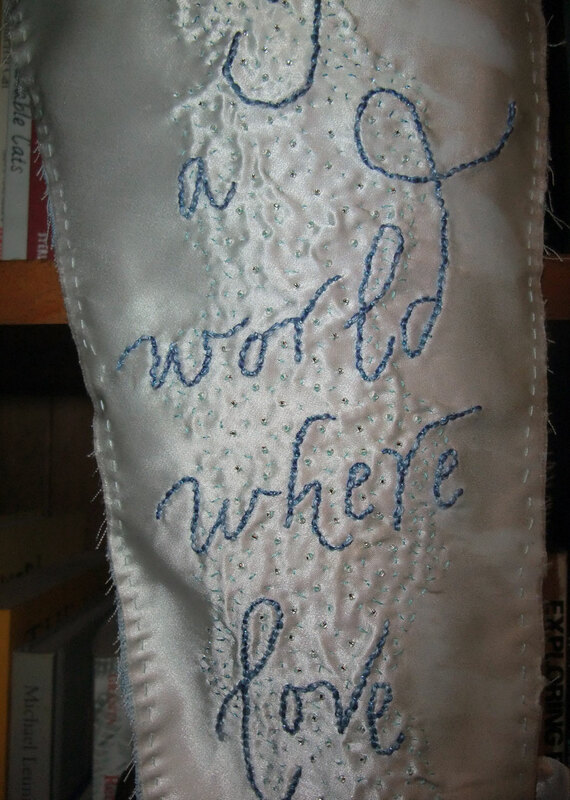 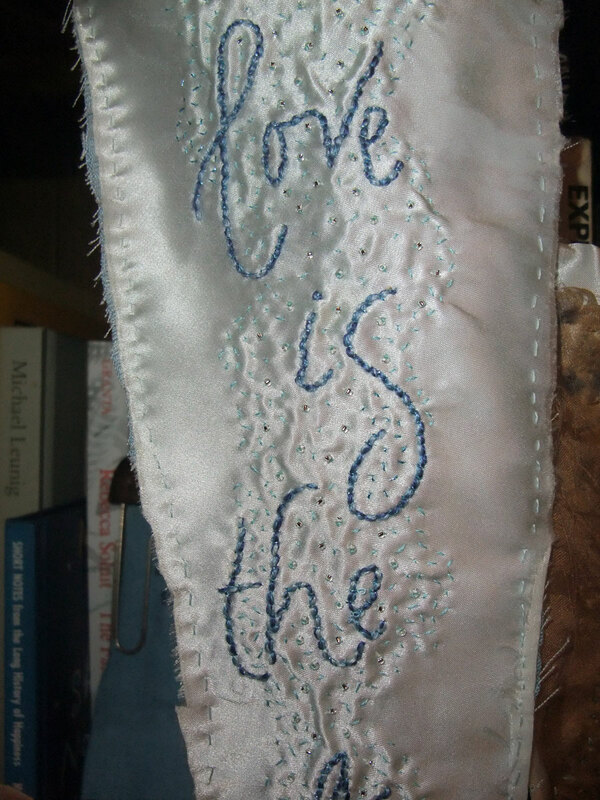 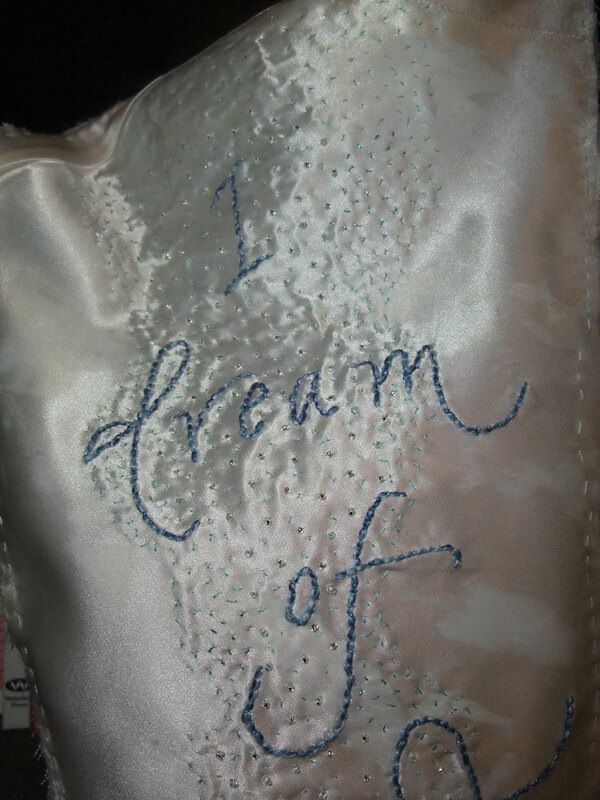 Susan Kapuscinski Gaylord has stitched and beaded her beautiful pennant for the dream and it’s on its way here! 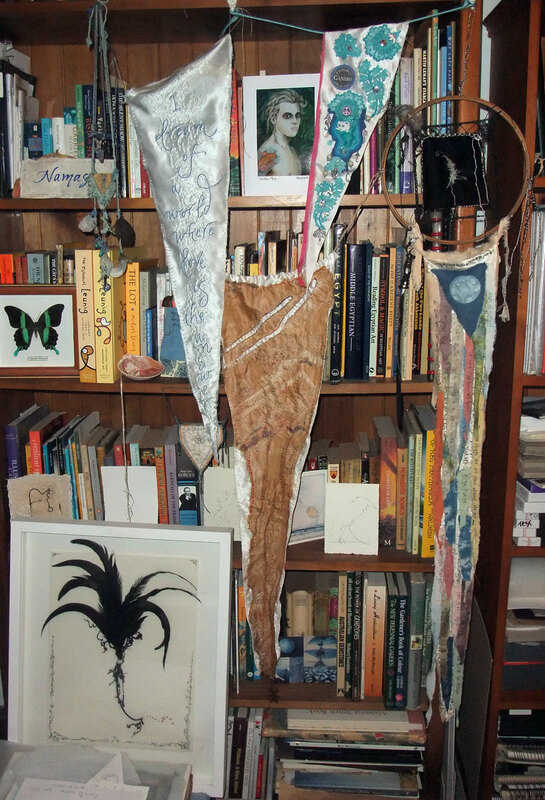 I am so honoured & look forward to meeting the magic of her pennant soon! 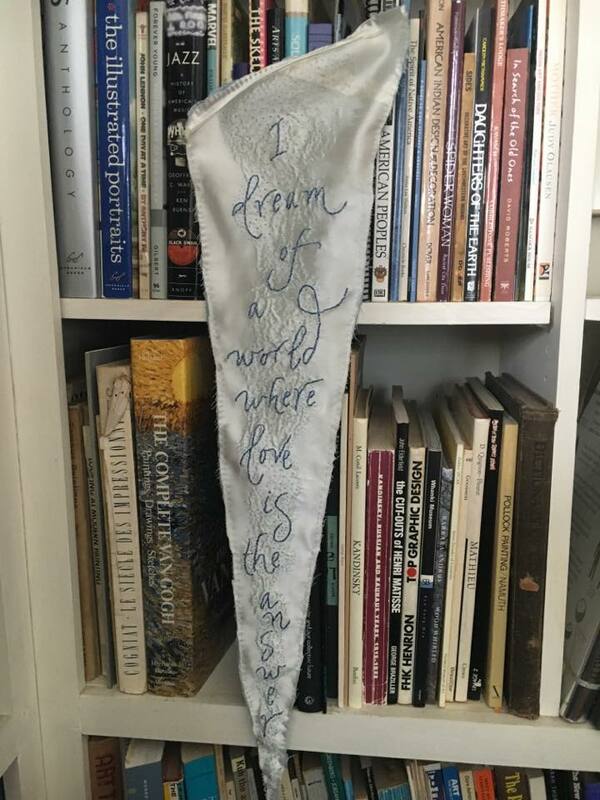 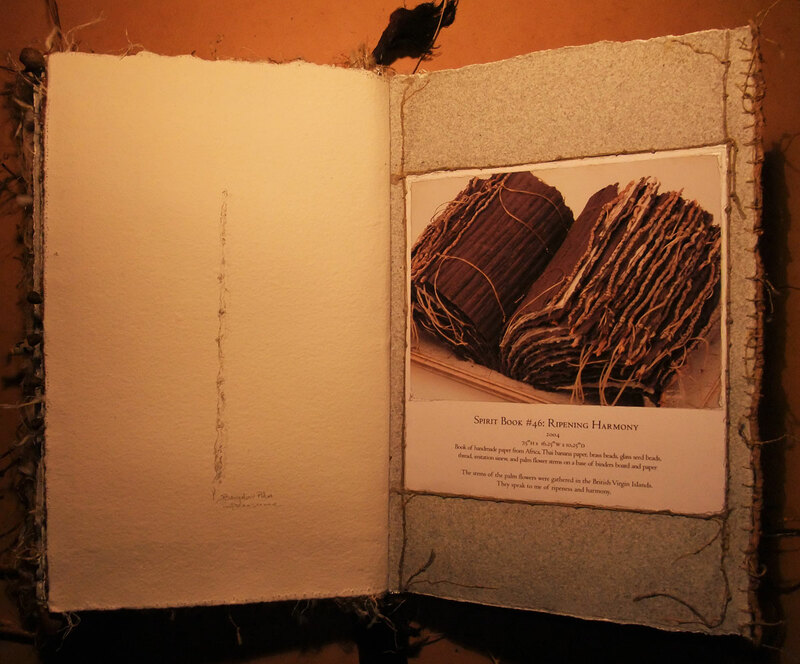 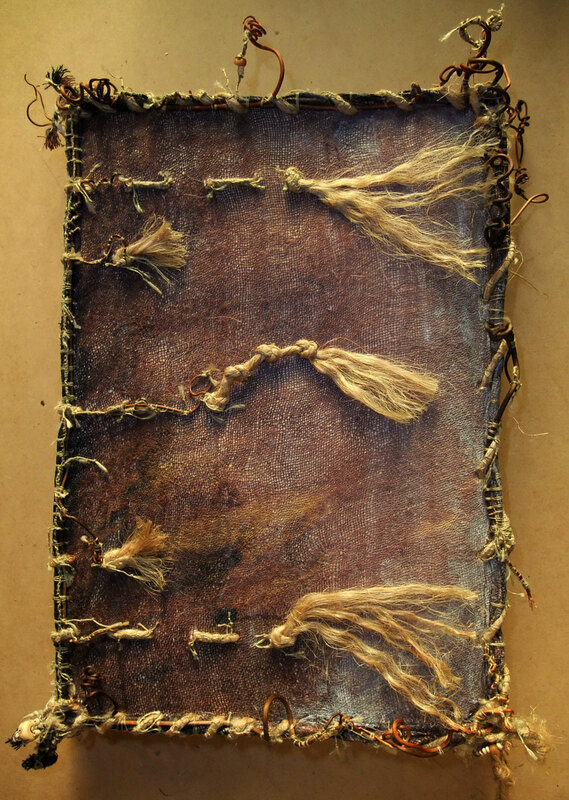 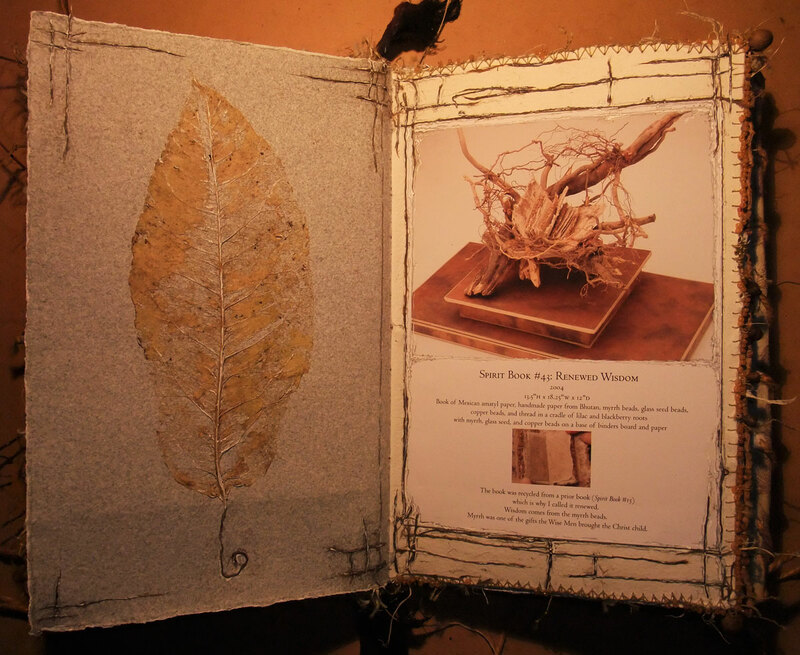 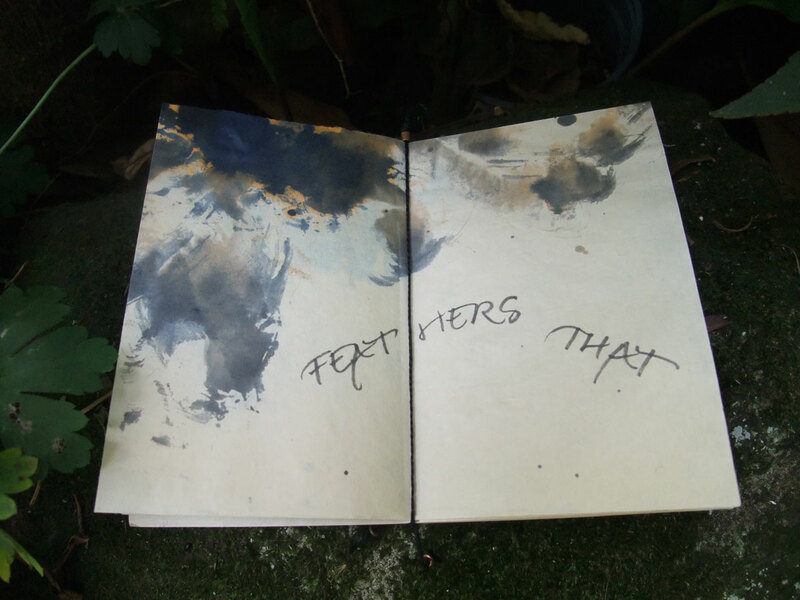 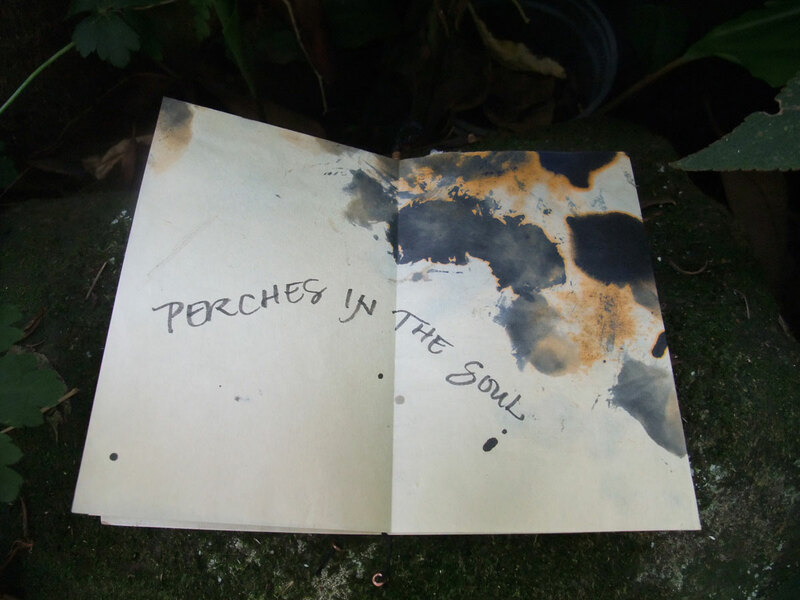 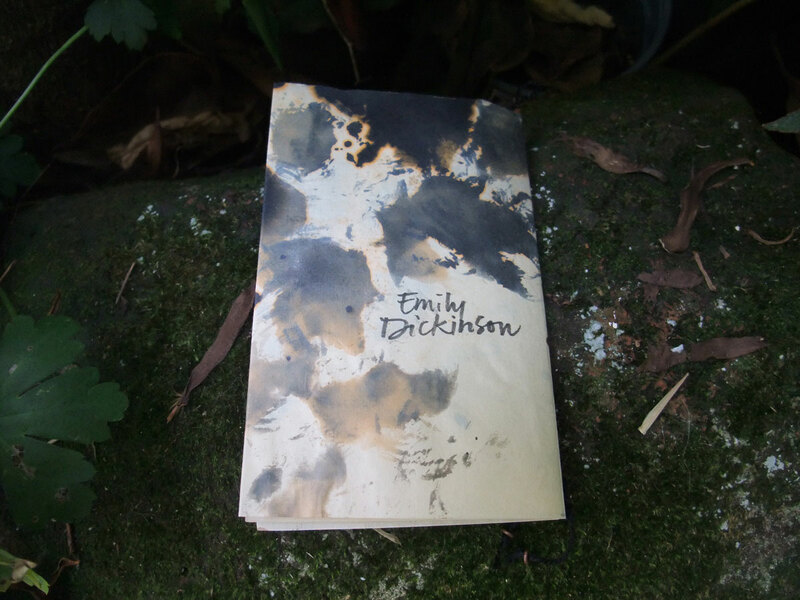 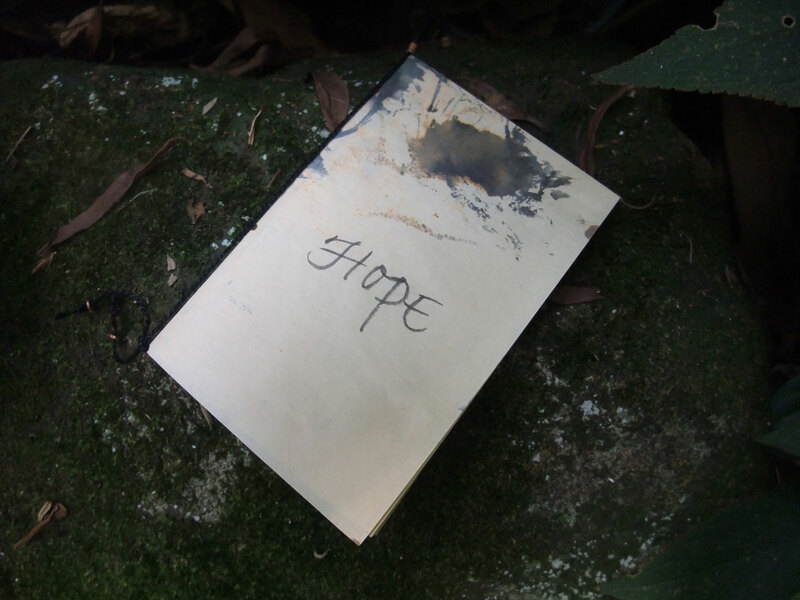 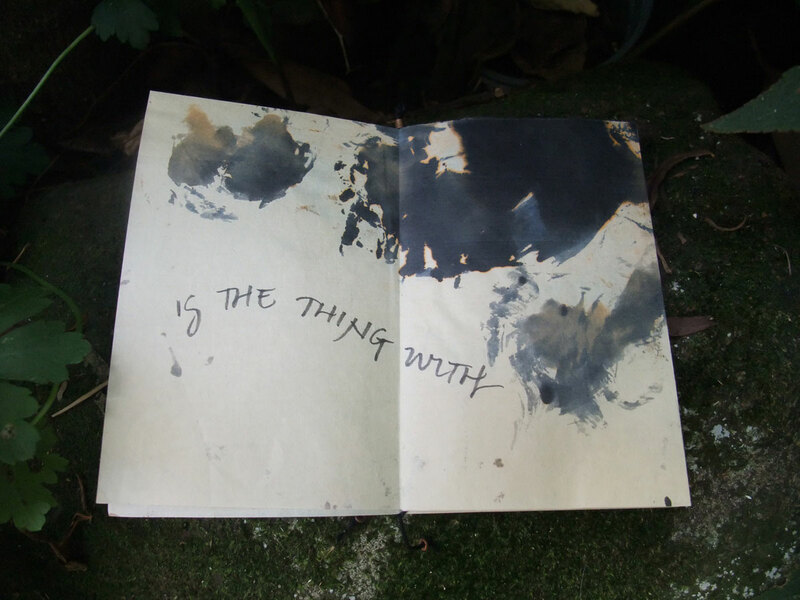 Susan Kapuscinski Gaylord is offering a pre publication signed limited edition bookmark if you order her new book about the making & history of “The Spirit Books” before August 15th! 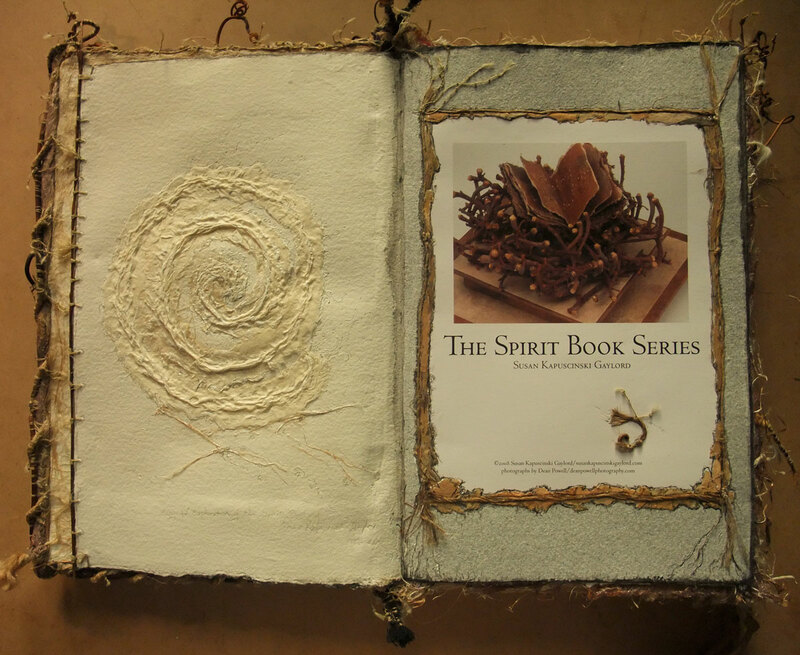 The Spirit Book of the Spirit Books is finished! 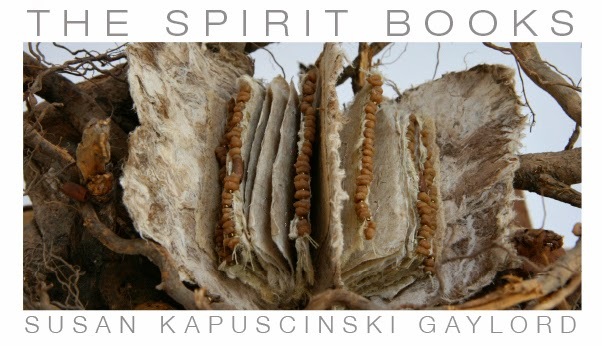 The Spirit Book of the Spirit Books of Susan Kapuscinski Gaylord is finished! 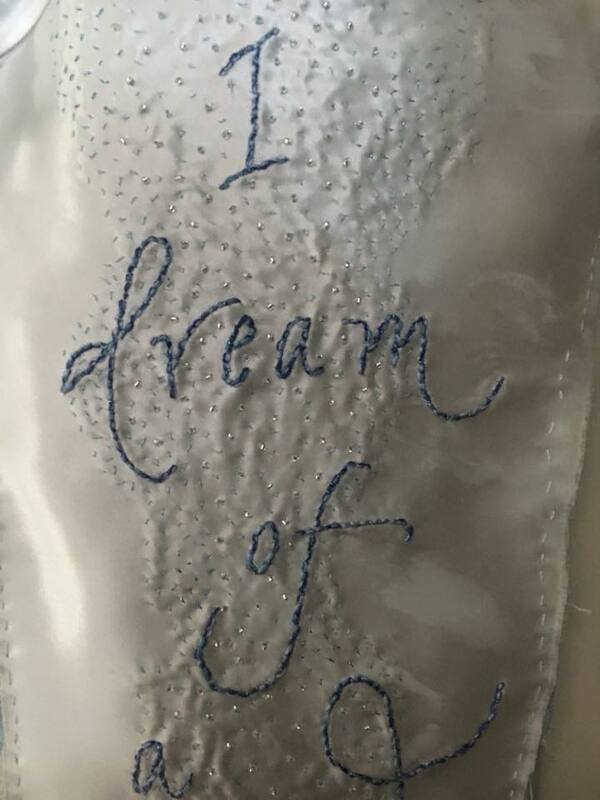 Thank you Susan for your generosity and support on this journey. 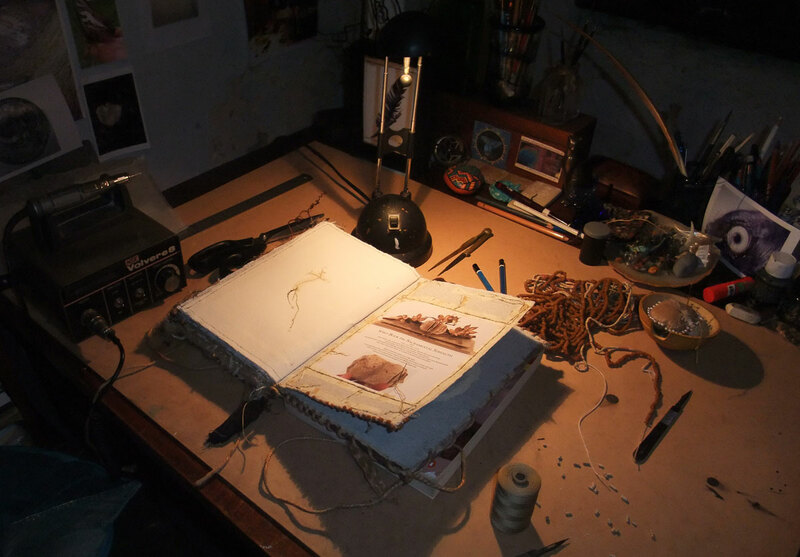 Here’s my bench early this morning working on the last page of the Spirit Book of the Spirit Books of Susan Kapuscinski Gaylord. 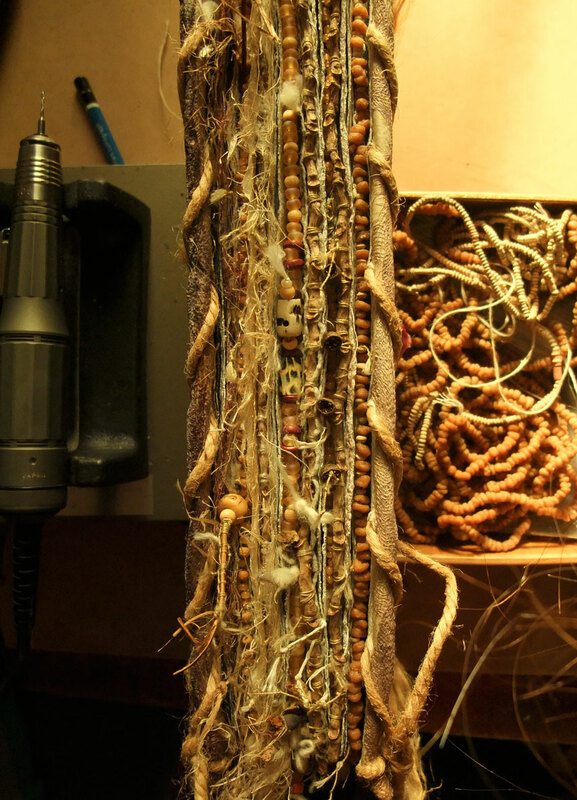 The myrrh and Mali clay beads from The Bead Chest arrived yesterday (they are quick, reliable and the beads are beautiful) . 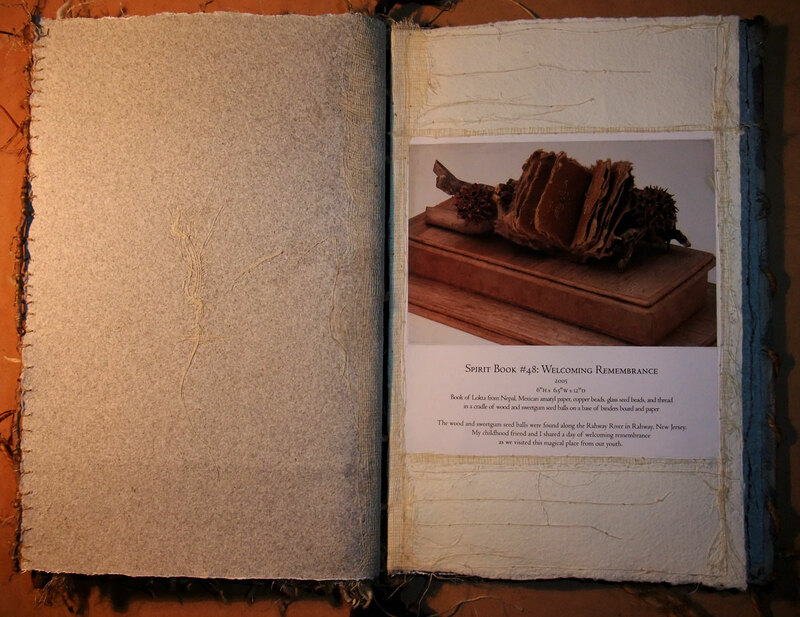 Susan uses myrrh beads on the edges of quite a few of her books so I tried getting a similar effect with sandalwood and sandblasted glass beads but the myrrh beads are wonderfully organic with the most exotic scent, working with them is a transporting experience and they have finished the foredge off perfectly! 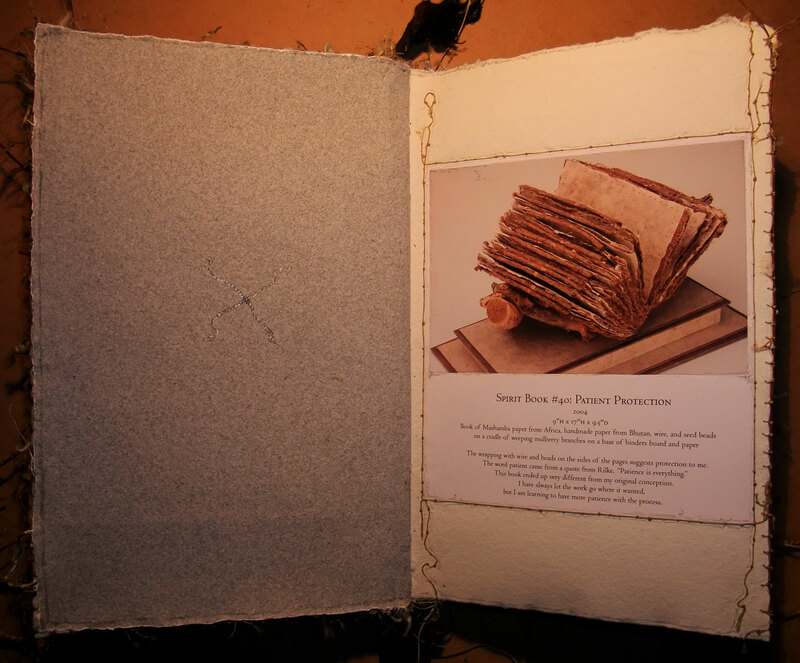 now that all the content is finished I will integrate the covers with this wonderful edge that has grown through the process & what a process it has been! 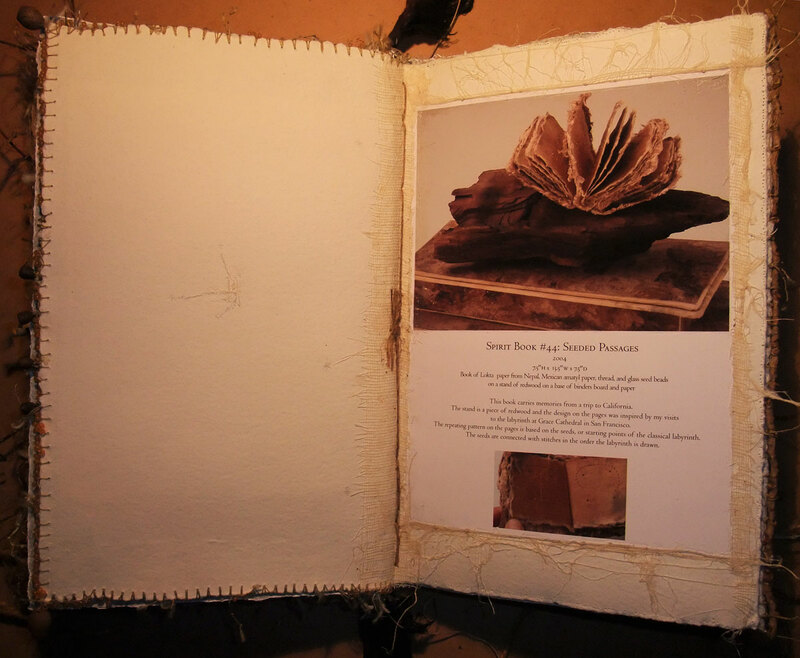 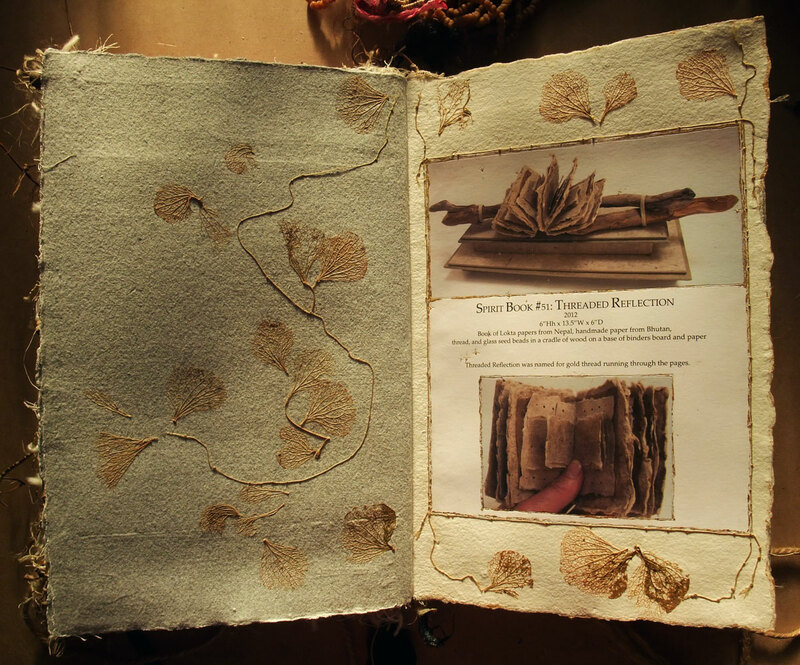 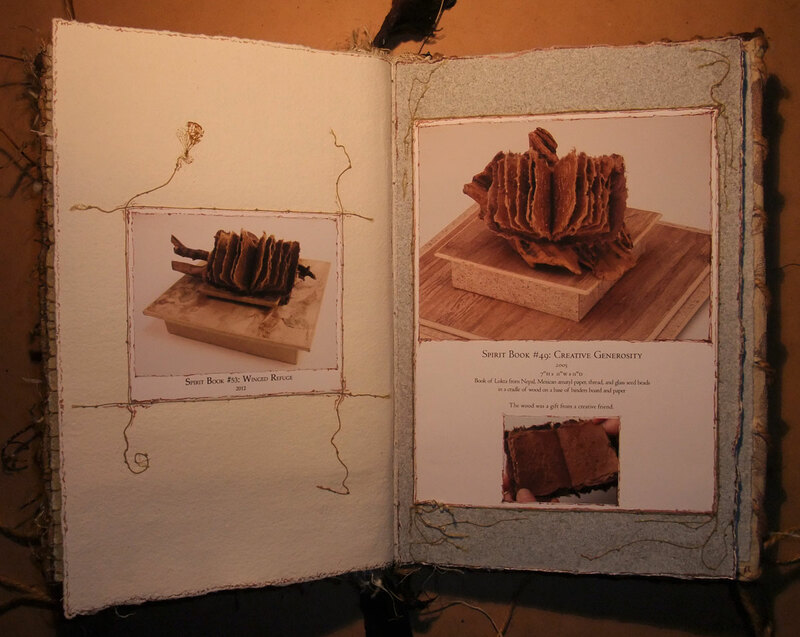 I have learned so much about Susan’s books, her use of natural colours & the spirit of the materials. 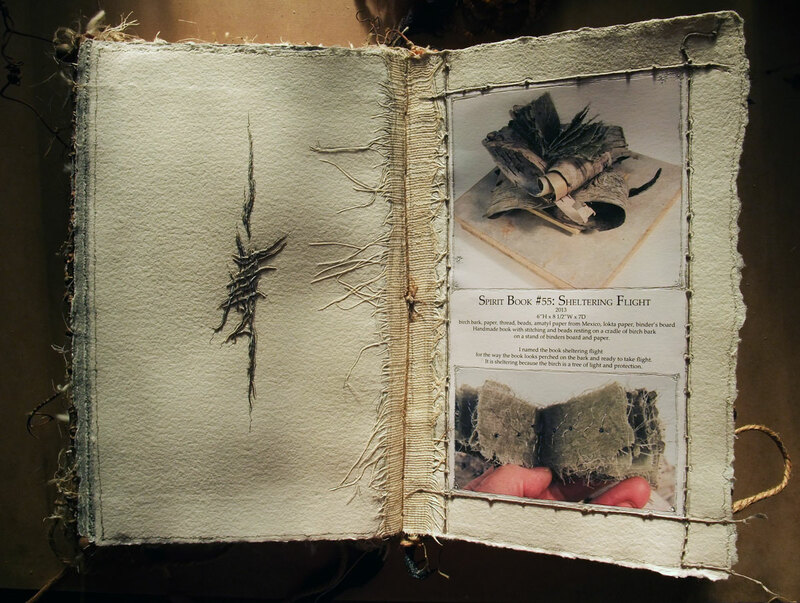 This one is a keeper, it has become a reference book to the process. 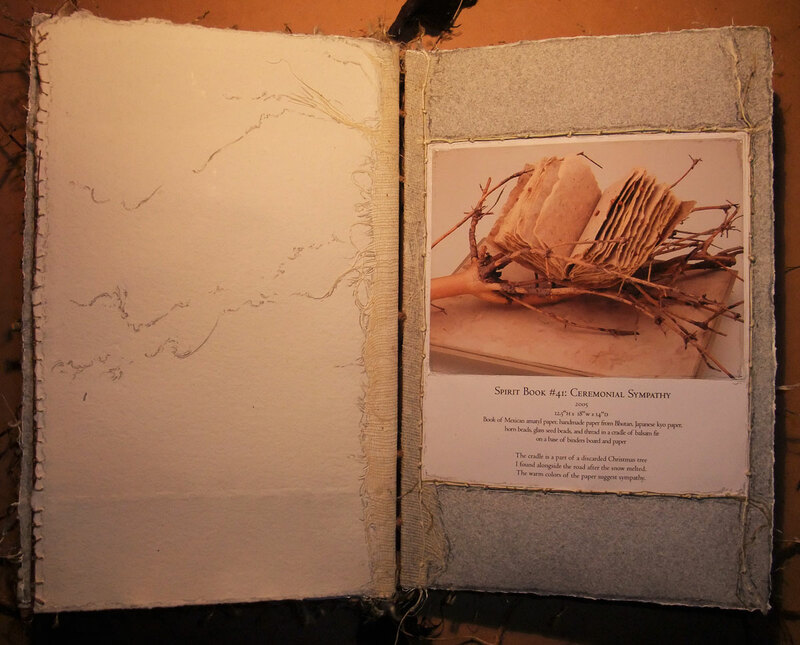 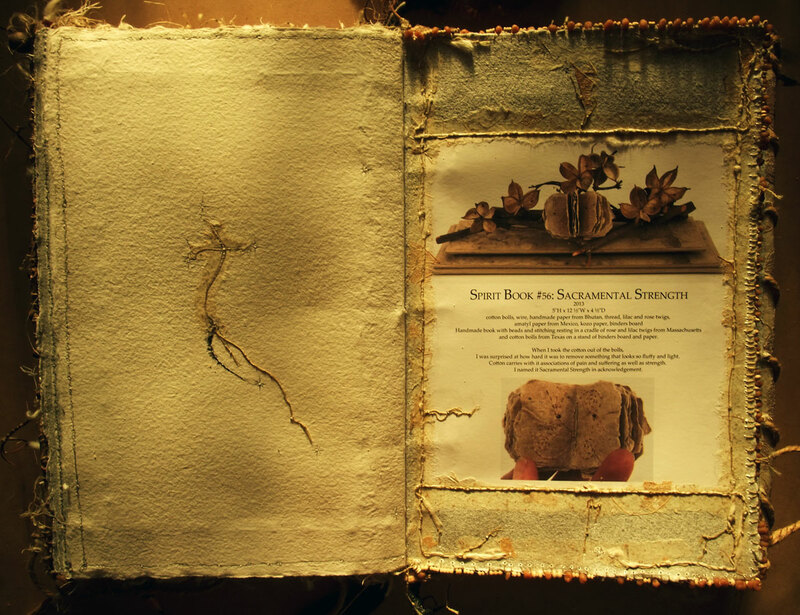 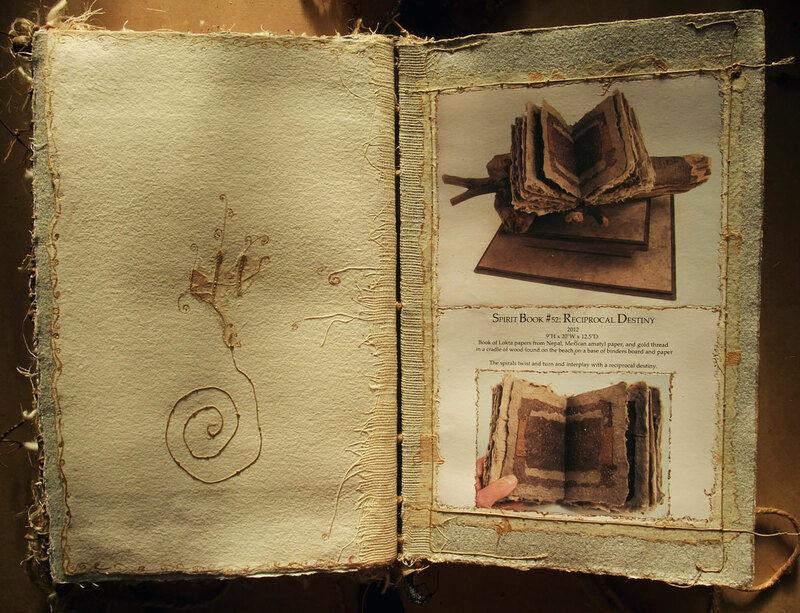 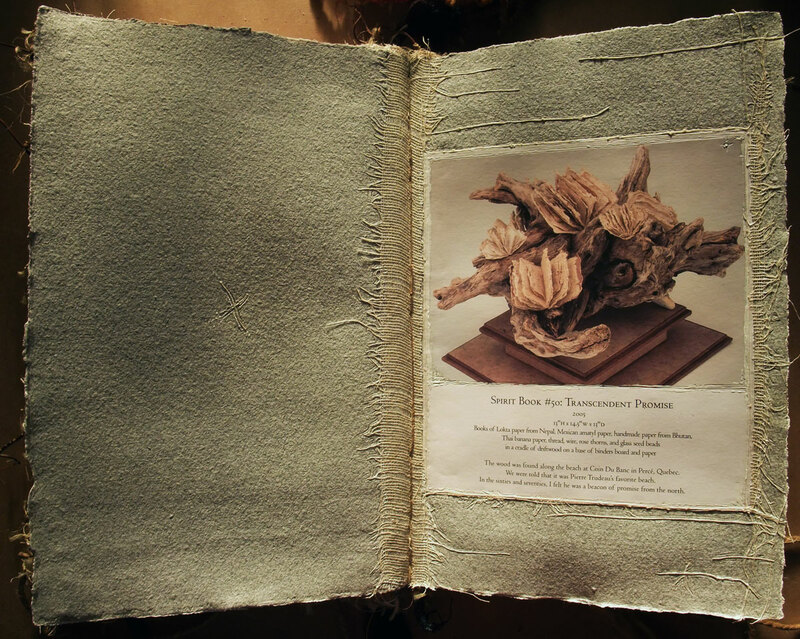 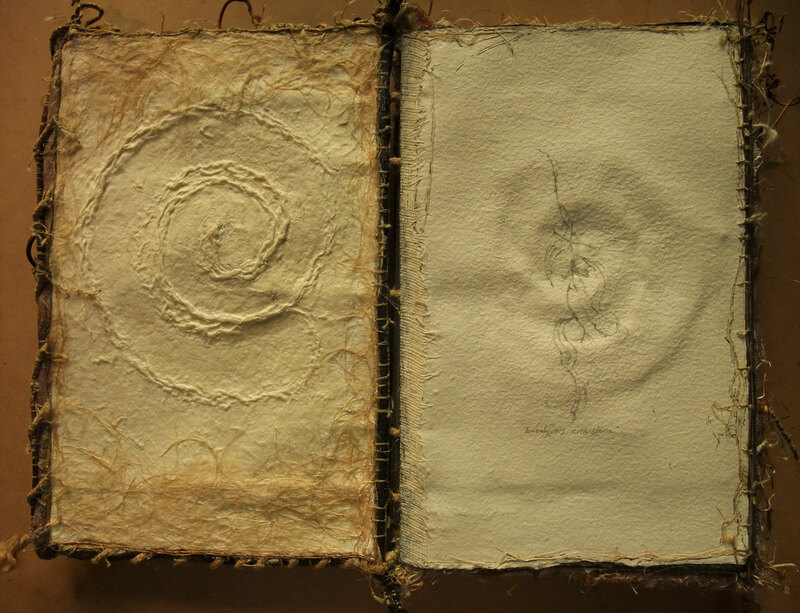 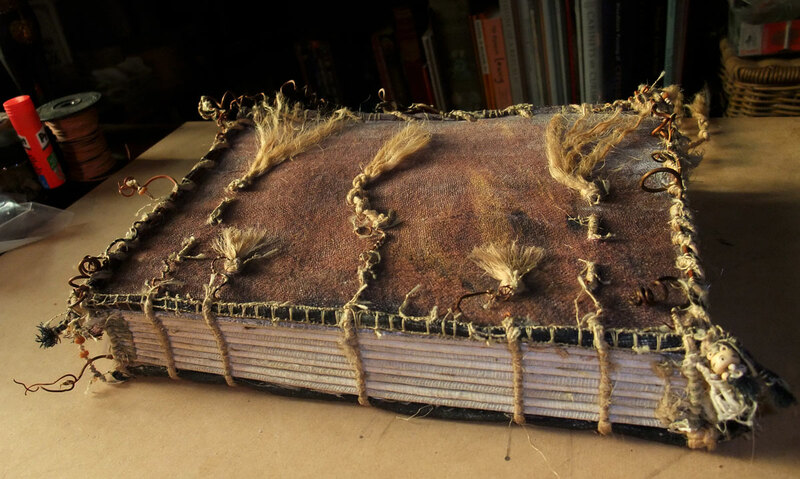 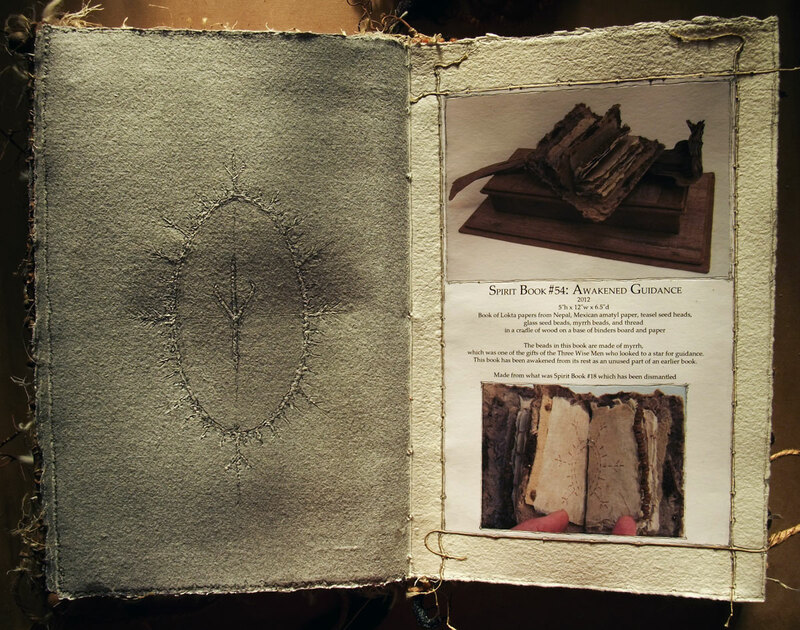 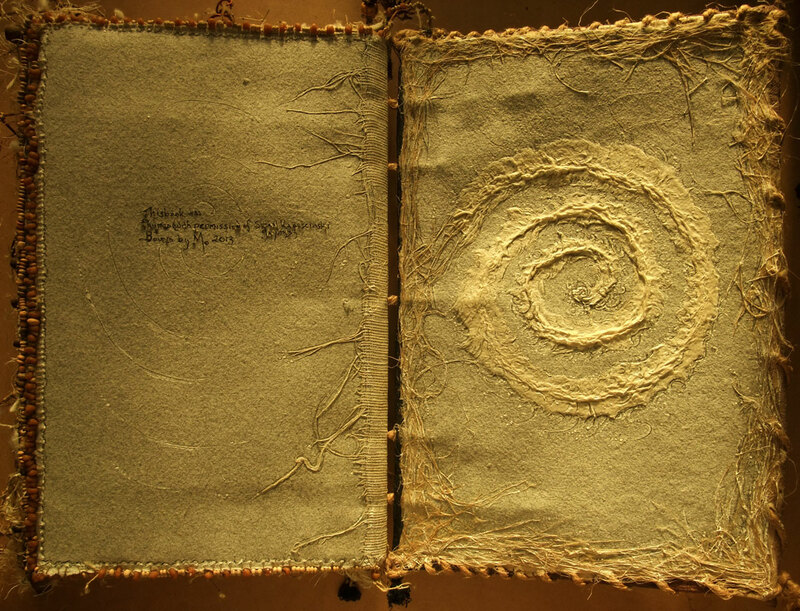 I made The Bones Book back in 2004 which exposed the inner workings of a traditional binding which I have also kept & refer back to regulalrly.